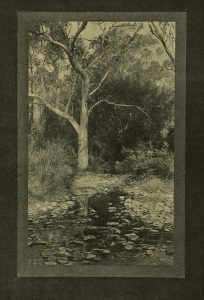 Alfred Wilkinson was an active member of the Adelaide Camera Club when it was an affiliated body of the SA Society of Arts and exhibited regularly in the Society’s Gallery. 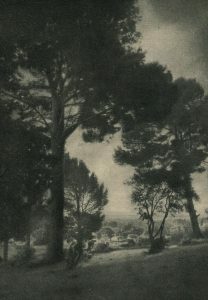 From the first decade of the century to the early 1930s he worked in the “pictorialist” mode popular then – photographs inspired by impressionist paintings with hazy and soft, slightly indistinct treatments of subject matter. 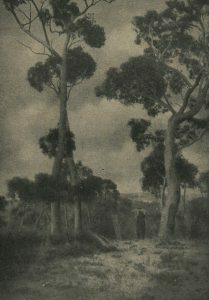 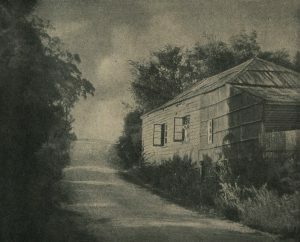 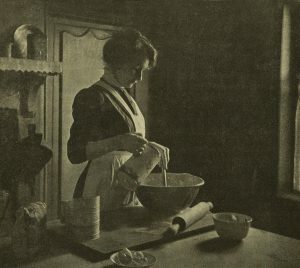 Pictorialism was brought to South Australia by John Kauffmann, who lived in Adelaide before moving to Melbourne in 1908, after training in Europe in the late 19th century. 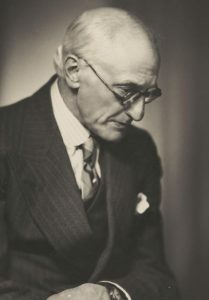 There is a stylistic convergence between Wilkinson’s photographs and the etchings of Henri van Raalte, who lived in Adelaide from 1922 until his death in 1929 and was Curator (Director) of the National Gallery of South Australia.